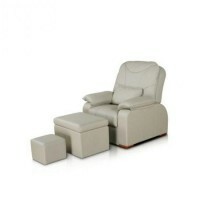 Hairdressing armchair CARUSO + TERRA BLOCK, buy at the price of 1289 in Europe. Hairdressing armchair Caruso + Terra Block is the best model in its class. It is ideal for use in large hairdressing halls and conventional salons. 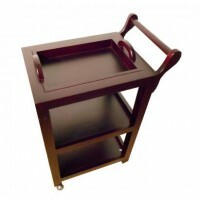 The peculiarity of the armchair is its design and specifications, which are improved much and will please any customer. The structure of the armchair consists of a metal frame, which is made of chrome-plated metal. 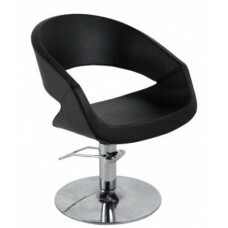 Easy round backrest makes the seat more comfortable and convenient. The armrests are upholstered with vinyl, very soft and pleasant to the touch. All armchair is upholstered with high-quality vinyl, which gives it beauty and charm. Disk base contributes stability and reliability. Hairdressing armchair is equipped with a hydraulic base Angelo with snap lock. With it, the height is adjusted very easily.